It has been proven that adding “blockchain” to anything makes it a hugely more popular product. With that in mind, meet the Sugar S11 Blockchain Creation Edition. The design seems like a copy of the ZTE nubia Z17s but the hardware is different. That’s not what makes this phone, interesting though. The blockchain in question is Ethereum Fog, which forked off the Ethereum cryptocurrency on January 1 this year. It builds on ETH’s ability to run programs by adding a file system (still in development). Apparently, the devs behind the project want to offer the ease of Amazon’s AWS hosting services but with the decentralized powers of a blockchain. All of this is still in development (the AWS thing is planned for 2020). 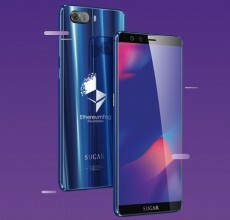 The Sugar phone will serve as a hardware wallet. It will also (supposedly) participate in the mining of Ethereum Fog, though its Snapdragon 652 chipset is not well-suited for that and there’s no mention of an on-board ASIC. The rest of the specs (given by TENAA) include a 5.99” screen (the nubia has a 5.73” screen) with 1080+ resolution, 4GB of RAM and 128GB storage. A 3,060mAh battery will power the phone (which probably won’t last long if you mine crypto on it). There’s a fingerprint reader on the back, which be used to secure the wallet. The phone also has two dual cameras, but they are different from the nubia Z17s. 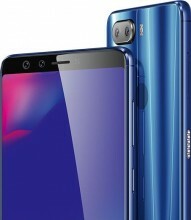 The one on the rear features a wide-angle lens and 16MP + 8MP sensors. The selfie camera has 20MP + 8MP sensors. The Sugar Blockchain Creation Edition will cost CNY 4,000 ($620/€510) and 10,000 units will be produced at first. You can tie up to 10 phones to a single wallet. Ethereum Fog does not seem to be traded on any exchanges currently, though if you’re holding ETH you will get the same amount of ETF. In unclear when the phone will launch too.